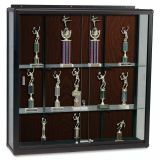 Balt Wall Mount Display Case - Wall-mount display case showcases trophies, awards and collections while saving floor space. The 3/16 thick tempered glass sides and top make items visible. Sliding glass doors lock to prevent tampering. 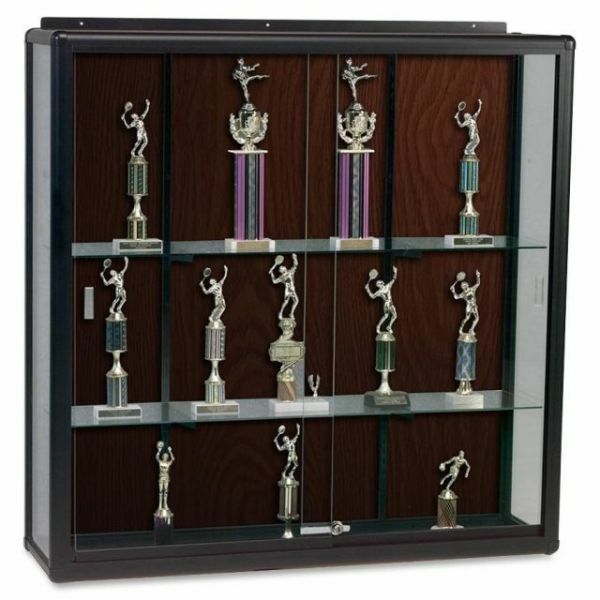 Ideal for hanging awards or three dimensional items, the 5' wide display case is framed in elegant, rounded, black anodized aluminum Elite trim and features a back panel with a walnut finish.